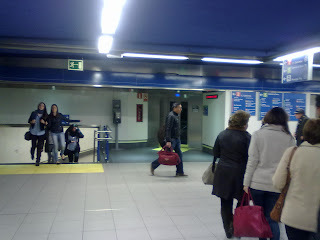 Payphone inside the metro network, this time located on "Opera" Station (down-town Madrid). This payphone RING LOUD and the audio works both ways. Thanks to Santiago who's becoming a regular contributor of working callable payphones.